Knowing how to swim is one of life's important skills. Especially for the African American community. We're drowning out there! And why? African American children cannot swim. Which leads to adult who can't swim. Again why? A few years back, I wrote an article for BabyCenter titled "Why more African American kids need to learn how to swim". In that article I explored some of the excuses and legit reasons why black families aren't swimming. Note: I received a free YMCA NYC class for the purpose of this review. However, any personal views expressed are always 100% my own. I'd hope in the following years things would have changed. It literally hurts me to see they have not. According to the CDC, drowning remains the leading cause of death for children 1 to 4 years old and the second leading cause of death for children 5 to 14. According to a 2017 study from the USA Swimming Foundation, 64 percent of African American children cannot swim, compared to 45 percent of Hispanic children and 40 percent of Caucasian children. Additionally, 79 percent of children in families with household income less than $50,000 have no or low swimming ability. Again why, why why?! I'm sure some will still argue finances or accessibility. 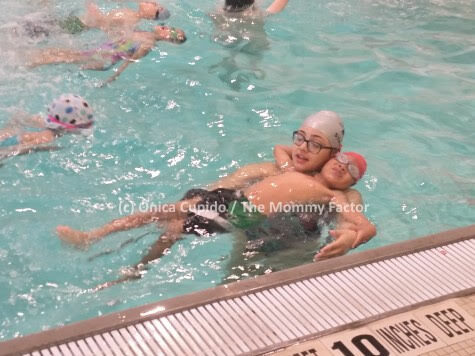 But there are free and low cost options for families to learn how to swim. So I think it's more about motivation. You have to want to swim. You have to understand that knowing how to swim can save a life. I *want* to save a life. I want to save my son's life and I want to save my own. Heck, I'll save yours also if I can. But to do ANY of that I have to know how to SWIM. I confess, I didn't fully learn how to swim as a child. So I had to start all over as an adult. Was it embarrassing? Yes it was. But I soon over came that embarrassment because I had a goal. Save lives and set an example. 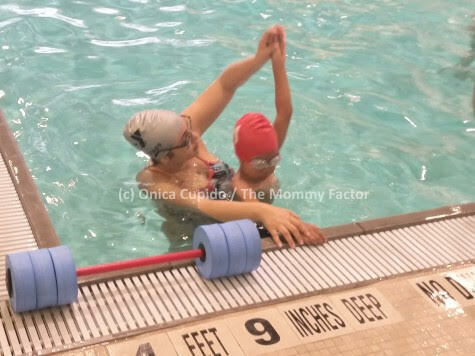 To help me reach that goal, The YMCANYC provided complimentary swim classes with a coach. One for me and one for my son. My swim session took a bit to get started because I had to get use to being *in* the water. I was nervous. I had to let go and learn how to use my body to move while surrounded by...water. I feels hardier and scarier then it sounds. But my coach was very understanding. She talked me through it. Let me take some time. Then when I was ready to let go, she encouraged me. And I started to learn how to swim. And it felt great! I was SO excited and proud! But I wasn't the only one. My son was also proud of me. And beyond excited to see me in the water. He even joined me for a bit before it was time for his one on one session. It was nice to be in the water with him. To say that his session when much smoother then mine is an understatement. HA! My son was eager to get into the pool and learn all the swim things. He learned how to breathe, float, kick and move in the water. Unlike with me, the swim coach had no problem encouraging him. As I watched my son, I reflected on my own swim lesson. I felt so good, I took the first step to learn how to swim. It wasn't something "I can't do" hanging over me anymore. I can do it. Heck, I just started doing and can continue from there. It's a great feeling and I hope more families, especially black ones, see the need and take steps to learn. There are resources to help and support your "learn to swim" goals! The New York City’s YMCA wants families (and individuals) to enjoy their time in the water this summer! 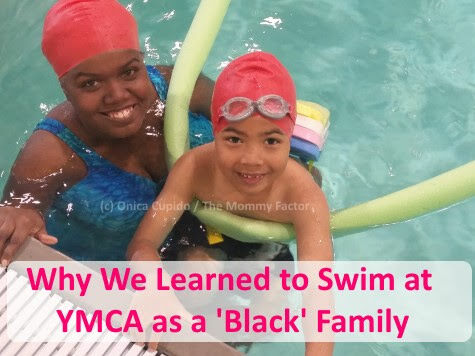 And with drowning being the leading cause of death for children, particularly with the minority population, the YMCA wants to ensure both children and adults have the skills and confidence to know how to swim – while also being safe! For over 100 years, the YMCA has been providing high-quality swim instruction to children and families to prevent drowning and build a love of the sport. In 2017 alone, New York City’s YMCA helped 31,000 people of all ages, abilities, and backgrounds learn to swim and develop water safety skills. In fact, more than half of our 2017 swimming participants were people of color. In addition, to ensure everyone can participate in our programs, the YMCA provides financial assistance to those in need to help cover the costs. 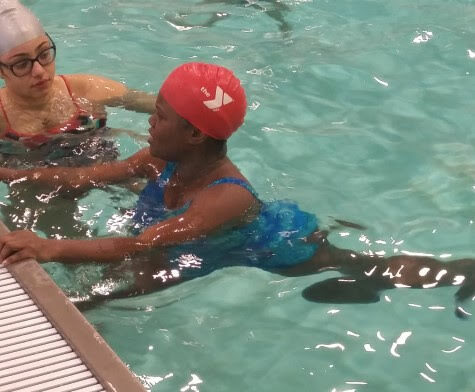 To increase accessibility and enhance instruction, New York City’s YMCA joined Ys across the country to update its swim lessons in January 2018. 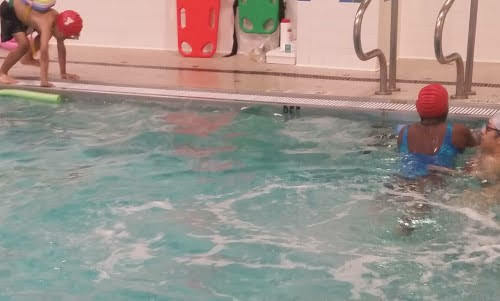 The enhanced program accommodates varying abilities to build confidence as swimmer’s progress between levels. 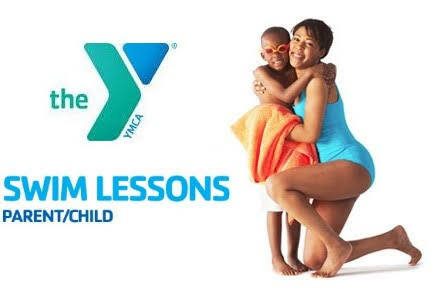 The YMCA of the USA introduced the concept of group swim lessons in 1909. Now, each year in more than 2,000 pools across the country, the Y teaches more than a million children from all backgrounds invaluable water safety and swim skills.